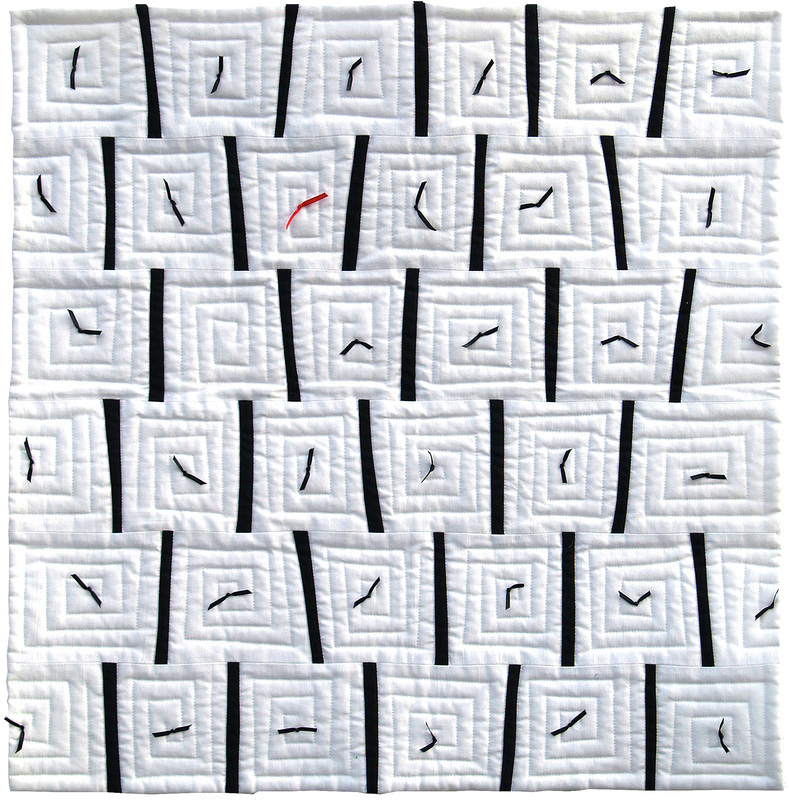 I've recently been given the opportunity to consider why I stitch adn what I like to stitch. For a technique junkie like me the answers were revealing. Simply put, I enjoy the rhythm - placing fabric against fabric, stitch against stitch, line against line, and taking the time to consider that placement. Increasingly I'm allowing my quilts to hold stories from my life. The quilts are not autobiographical in themselves but each one contains elements held in place by stitch. As in life, no rhythm goes uninterrupted for long or continues as expected; this is what I've tried to capture in this quilt. Machine pieced and quilted. Hand embellished.